CiviCRM, however, provides users with an option to manually override the status of a membership record with the Status Override check box. 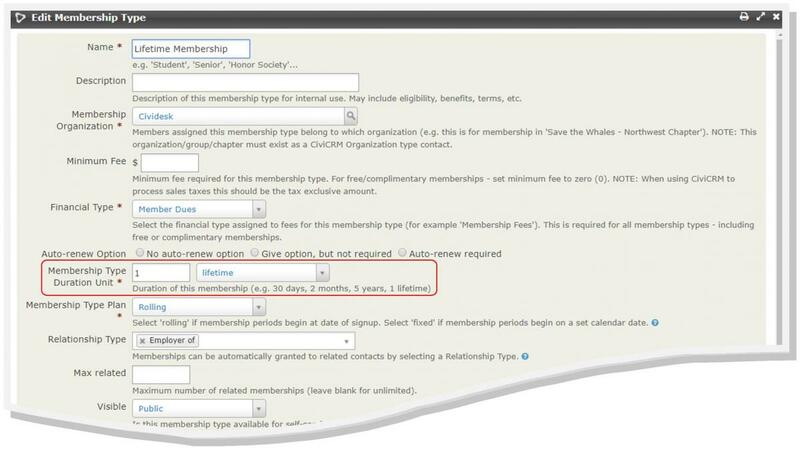 It can be sometime useful to force a membership status to a specific value. For example, if you want to make the distinction between members who have not renewed their membership yet versus members who explicitly communicated with your organization that they don't want to renew their membership. When this box is checked, a drop down menu of the available membership statuses appears for the user to manually select a status - theoretically, this would be a status other than what the system would automatically assign. As long as the Status Override flag is checked, the automated membership status update script will NOT update this membership record, nor will scheduled membership renewal reminders be sent. The status assigned will remain in force until the status is either manually modified again, or the Status Override flag is removed. What about "Lifetime" memberships, you ask? 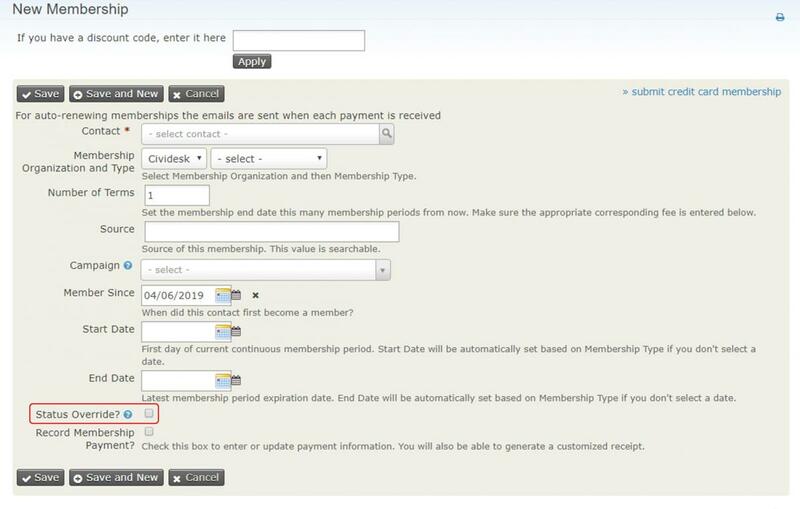 If your organization offers members "Lifetime" memberships, these are managed without using the Status Override flag by defining a membership type with a Duration of "1 Lifetime". A membership with the duration Lifetime never ends. When a contact is marked as deceased, the system uses the "Deceased" membership status rule to update the membership status to "Deceased" - this removes the contact from all further communications regarding the membership. The "Deceased" membership status rule applies to all membership types, regardless of duration.